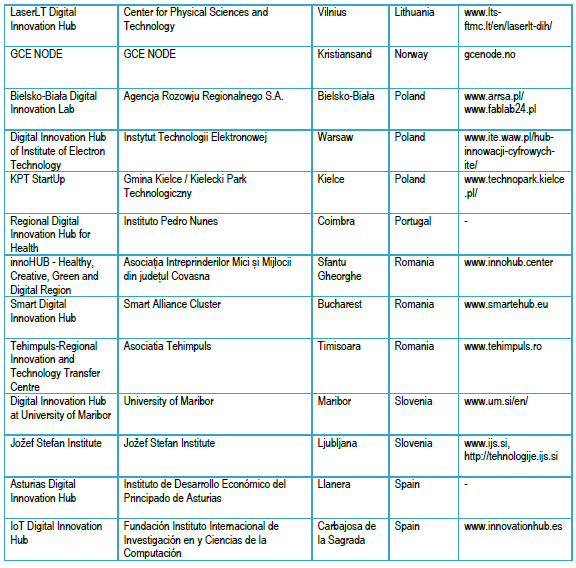 Following a 8-week call for Expressions of Interest open to DIHs throughout the EU and H2020 associated countries, operating in any technological domain and at different stages of development, the selection of hubs that will benefit from the DIHELP programme is completed. 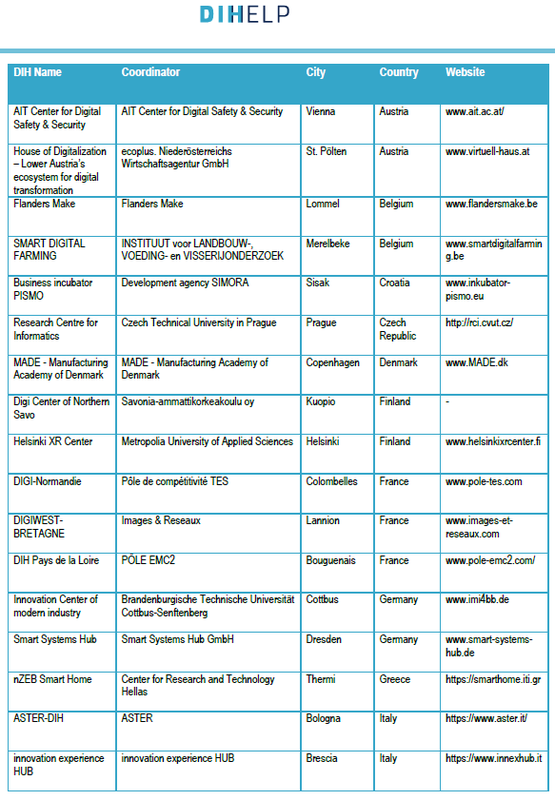 A total number of 80 applications were received from 20 countries and 30 DIHs from 17 different countries were selected by of digital innovation experts, supervised by the European Commission. As part of the Digital Innovation Hub Enhanced Learning Platform (DIHELP), the DIHELP Academy will provide from March to November 2019, mentoring and coaching on business development, financing and innovation management to set up sector-specific and sustainable business models. On 20-22 March, the academy will open its door and welcome 60 representatives from 30 selected DIHs. During this launch event to be hold in Brussels, participants will assist interactive, hands-on learning and “edutaining” working sessions. This conference will also give the opportunity to networking, peer-to-peer mentoring and exchange of good practices. These discussions and training will be followed up at the DIHELP Academy with individual on-site coaching and a virtual back office offering an e-learning portal, a helpdesk and webinars. The first webinars will take place in April 2019. Some of them will be open to public.